So where exactly is Biddeford, ME? 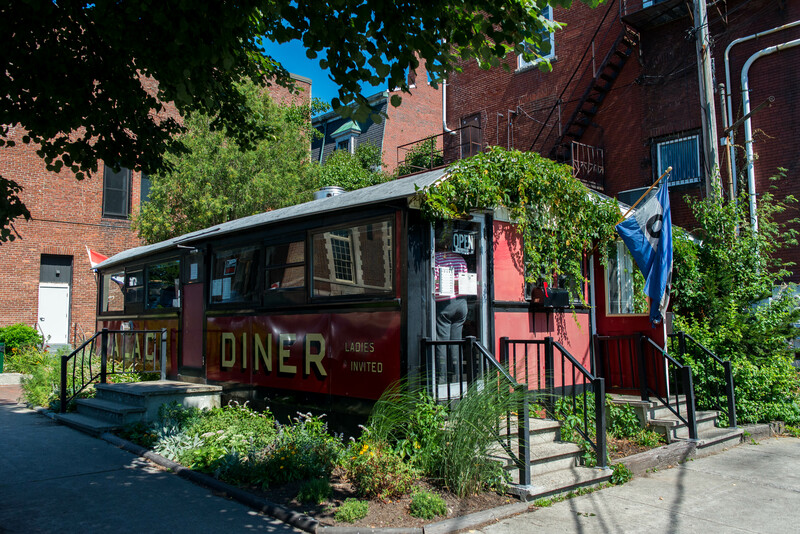 I am not quite sure but I do know that there is a little vintage diner worth a pit stop right off Main street in the sparsely populated downtown. 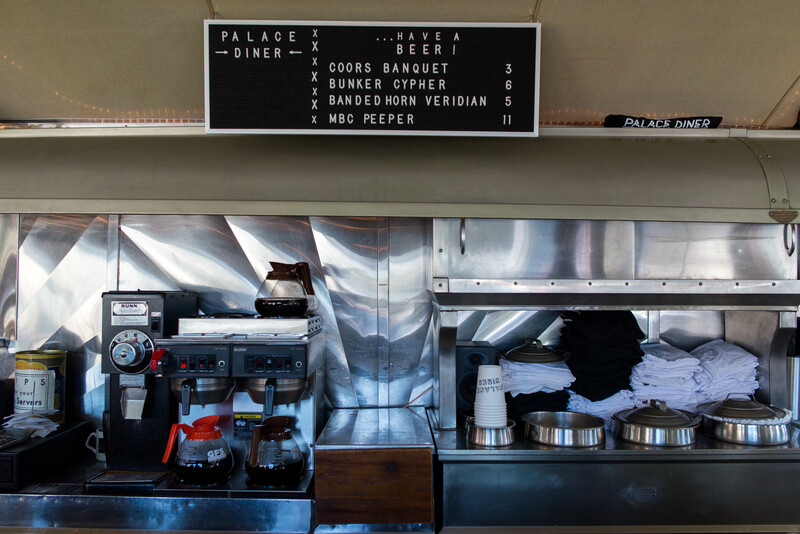 The Palace Diner is sort of a rebirth for the good old fashion Americana diner. 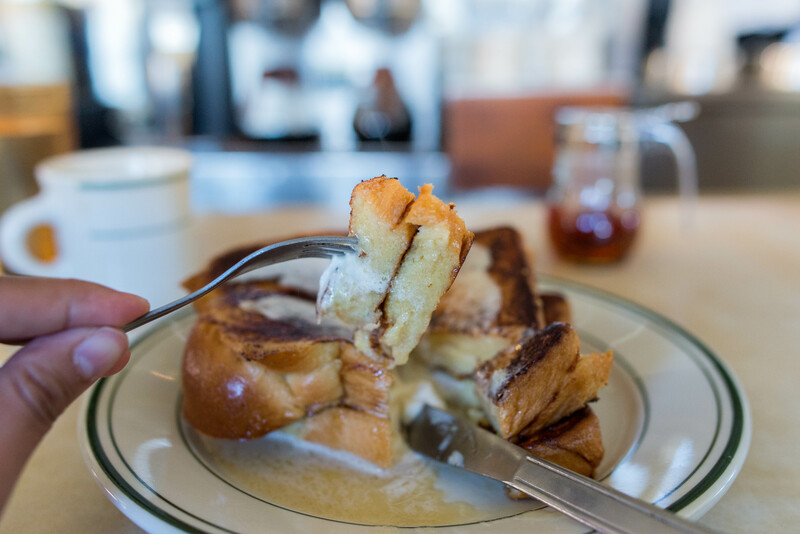 Located in an old fashion vintage dining car, the counter service only restaurant seats a mere dozen or so for breakfast and lunch. We arrived quite a bit before noon but even with that early start our group of 5 had to wait for our turn. I always prefer a bar seat so this was kind of my dream of a restaurant with only a row of counter seating. I loved watching our hipster servers dance around each other in the tight space taking order and making sure that no coffee mugs were left empty. 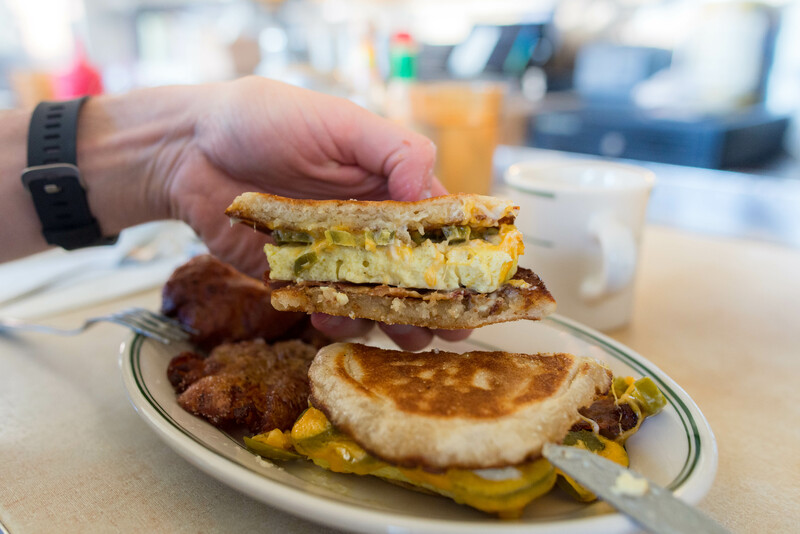 When it came to the food, they take classics such as this breakfast sandwich to another level. 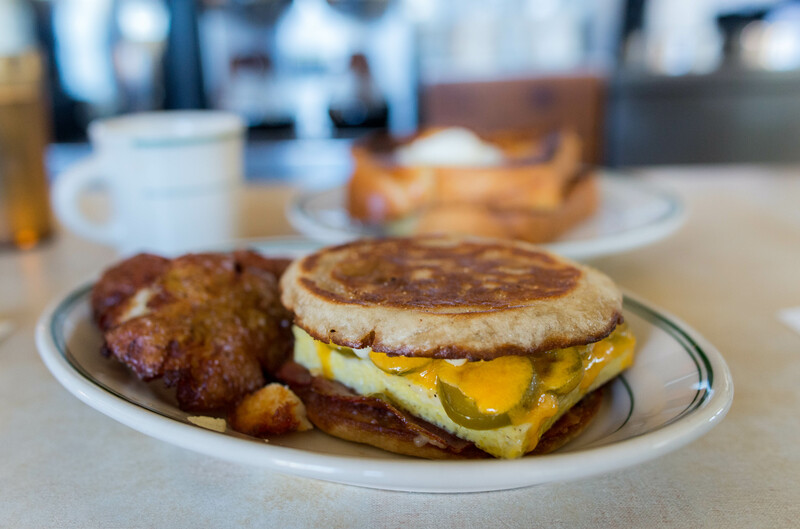 Buttery fluffy English muffin was the perfect vehicle to deliver the beautifully cooked square of fluffy eggs, bacon, cheddar and some jalapeno for a lovely kick. The smashed crispy potatoes with a still creamy center was just the cherry on top of this unbelievably flavorful dish. And for a sweet treat, I couldn’t resist the French toast. This comes in a single or a double stack. I don’t understand why anyone would have only a single piece of this delicious toast. Perfectly golden brown, the middle was a lovely custard that was lightly sweet, ready to soak up some golden syrup. If you ever find yourself driving up from Boston to Portland, be sure to make the Palace Diner a part of the trek. 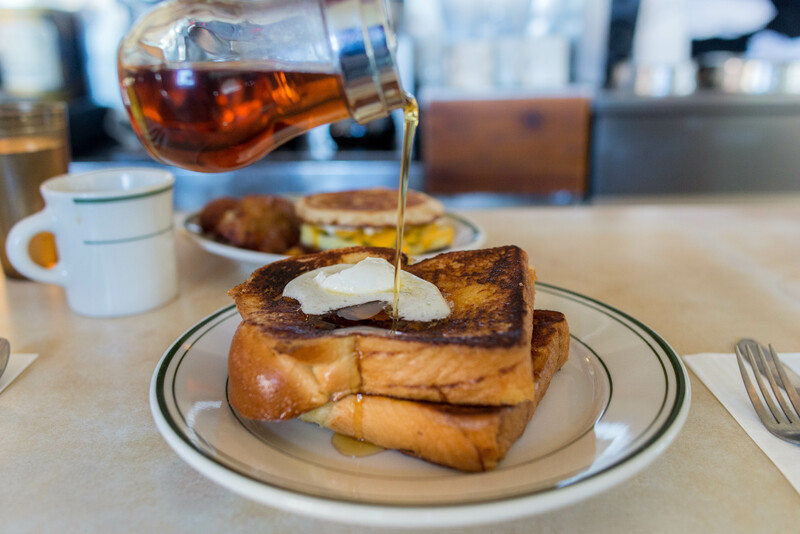 The throwback diner in the middle of nowhere is churning out some decadent versions of classic breakfast and lunch treats that made me wish that it was tucked away around the corner of all small towns in the USA.